One of the features of multiple sclerosis (MS) you don’t hear about much (pun intended) is noise sensitivity, also known as hyperacusis. Yet while it appears from my inquiries and from exploring the forums that hypersensitivity to noise and sounds is a common issue among MSers, there also seems to be amazingly little literature on the topic. Everyone’s experience with hyperacusis is unique, but generally it is characterized by an increased sensitivity to everyday sounds in the environment, such as barking dogs, honking horns, traffic, clapping, and rattling dishes. The most irritating and disturbing sounds are usually high-pitched noises like a smoke alarm or screaming young children. 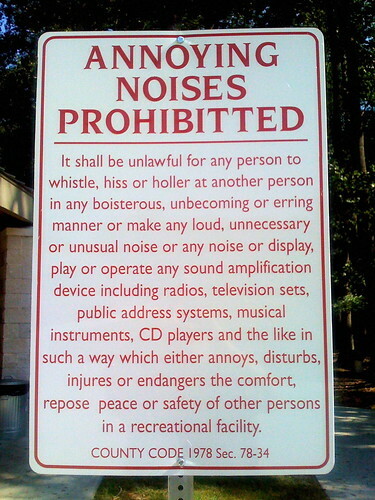 Some people with hyperacusis become so bothered by this problem they develop phonophobia, or fear of noise. This phobia can cause them to try to completely avoid situations and places that can have distressful noise. Unfortunately, that can lead to people becoming afraid to leave their home and being unable to cope in the real yet noisy world. According to the limited literature I could find on the subject, hyperacusis in MS can occur in one or both ears and happens in people who otherwise have normal hearing. The hypersensitivity is associated with demyelinating lesions present in the central auditory area. One report explained the findings of three individuals with normal hearing, hyperacusis, and MS. One of the patients experienced sharp pain in his cheek whenever the phone rang while another felt intense sensations from various nonverbal sounds. The third individual experienced annoying echoes and problems with directional hearing. All three patients underwent measurement of their brainstem auditory evoked response to measure their brain wave activity as well as magnetic resonance imaging (MRI) of the brainstem. The three individuals all showed changed auditory evoked potentials with suggestions of a lesion in the brainstem. The subsequent MRI then revealed demyelinating lesions in the ipsilateral pons and in the central auditory pathway. In the study just mentioned, the authors suggested the use of serotonin reuptake inhibitors, which include Celexa (citalopram), Lexapro (escitalopram), Prozac (fluoxetine), and Zoloft (sertraline), but they can cause significant side effects. Another suggestion was acoustic lenses. Some people have reported some success using ear plugs or wearing ear muffs. From what I can see, little research has been done on the issue of hypersensitivity to sound in multiple sclerosis. Has anyone found effective ways to deal with the pain of noise sensitivity in MS? My son wears noise canceling earphones 90% of the time but even then things like unloading the dishwasher bothers him. Interesting. My neurologist (the 3rd one) is just now cautiously looking into a diagnosis of MS. Not that I really want one, but it seems the only logical answer to me. Anyway, about a month ago I started noticing that when I am on the cell phone, I have to turn the sound way low because it hurts my ears, when before, it was up all the way. Then things like the sound of my kids is sometimes SO irritating that I would rather not be around. (Very sad). I willemtiom this to the dr at my next visit in January. I was diagnosed with Relapsing remitting MS in 2007 at the age of 53. I have chosen to stay off MS medication after trying Avonex, Rebif and Gilenya. Fortunately, The worst complaint is muscle weakness and balance problems forcing me to walk with a cane. I began to experience sensory sensitivity this past year so I started researching this condition and found that I probably had a magnesium deficiency. I have never taken vitamins in my life due to my healthy lifestyle but having MS has changed the way my body functions. I began a regimen of taking 200 mg of magnesium per day as well as 1000 mug of B12 for muscle and bone strength and D3 for an increase in seratonin. I began this regimen in January 2016 and have already noticed a difference! I sleep better even with traffic and street noises in the background. My legs are a bit stronger as evidenced by my cooking time in the kitchen. Worth investigating. I'm so glad to have found this site. I have had RRMS well controlled for 20+ years but at certain times noise at lower frequencies produce a rippling shingles type reaction across my skin. Am I alone??? I was diagnosed 2 years ago at age 48, totally unexpectedly. I have been sensitive to sounds for the past few years but recently this has intensified. I was sitting next to my son who was crunching a lollipop and couldn't think until he stopped. The family chewing at the dinner table sounds so amplified I wanted to run from the kitchen. Another son was humming a happy tune and I had to lecture myself internally to keep from screaming at him. At the same time, the TV seems muted and I keep asking to have the volume turned up. I grew up in a city with ambulances and sirens, I used to filter out all kinds of things. This is very different. I am also easily startled by sounds now. Thank you for writing about this.